Day 5: Tradition. My family and I spend our Christmas Day wearing pajamas. I never can find anything seasonal I like. So instead, I get a holiday shirt and wear it with cute jammie bottoms. I have a bunch that I love and will never get ride off. This is the one I bought for this year. I saw it at Walmart in Florida of all places. I couldn’t pass it up! 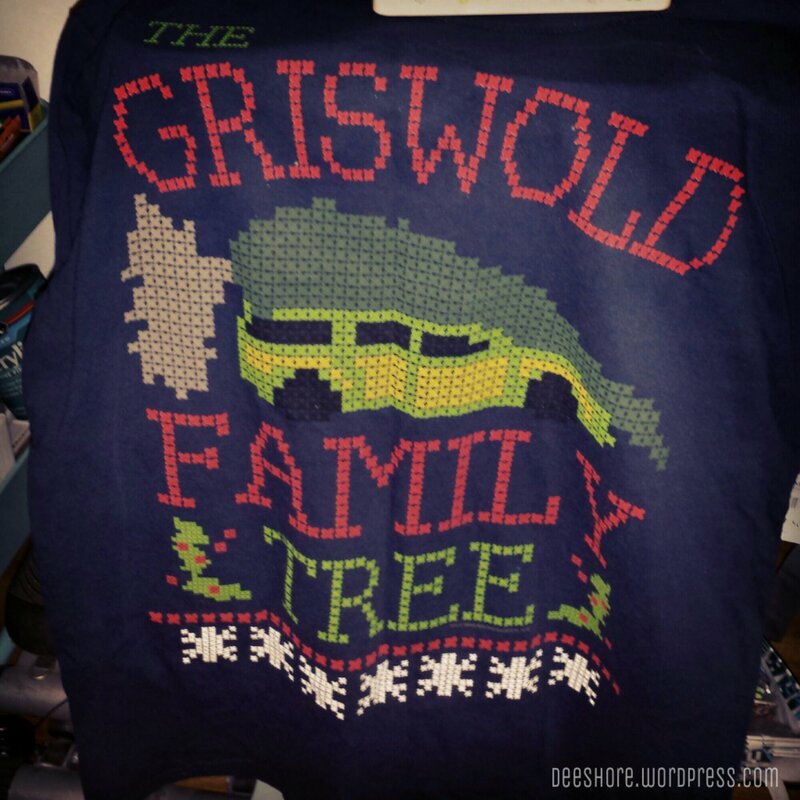 National Lampoon’s Christmas Vacation is one of my favorite movies ^_^. Excited to wear it! Previous Post Jeff the Elf meets Jesus! Next Post Jeff the Vampire Elf?